Self-harming is characterized as the purposeful action of creating physical self-harm without the internal on suicide. This behavior (cutting or burning) is common with teenagers and adolescents due to underlying emotional issues or the absence of coping skills. Self-harming is used as a way for your teen to release the emotions they are feeling through the use of pain. Being involve in a teen support groups can make a big impact in their behavior. In a teen’s development they are most influenced by their peers, because of this, teens tend to be more open and honest in groups. Identifying with other teens not only helps teens to know that they are not alone, but encourages hope that issues can be overcome as they see others heal. Self-harming behavior allows for the release of sadness, anger, pain, frustration and, neglect. Once the teen is done inflicting self-harm they usually experience relief in the form of emotional relief of mental relief which it then followed by guilt or shame. This shame and guilt only allow for the situation to repeat itself. Plenty of research has pointed to the fact that teens who depend on the use of self-harm to cope do so because they see it as a way to escape their issues. It allows them to release tension and stress that builds due to their problems. Those that practice self-harming tend to have a history of sexual, emotional or physical abuse as well as neglect or trauma that results in feelings worry, extreme anger or insecurity. More than half of all teens that engage in self-harming have made multiple attempts at suicide. Self-harming tends to occur with the presence of other mental health issues that include anxiety, depression, eating disorders, borderline personality disorders and substance abuse issues. When a teen or adult is dealing with more than two mental health or substance abuse issue simultaneously is it known as co-occurring disorders. Cutting can be a form of addiction or teenagers are is presents a way to quench their craving for self-harming. However, just like with any addiction there is a threshold that needs to be met in order for that same satisfaction of release to be met. 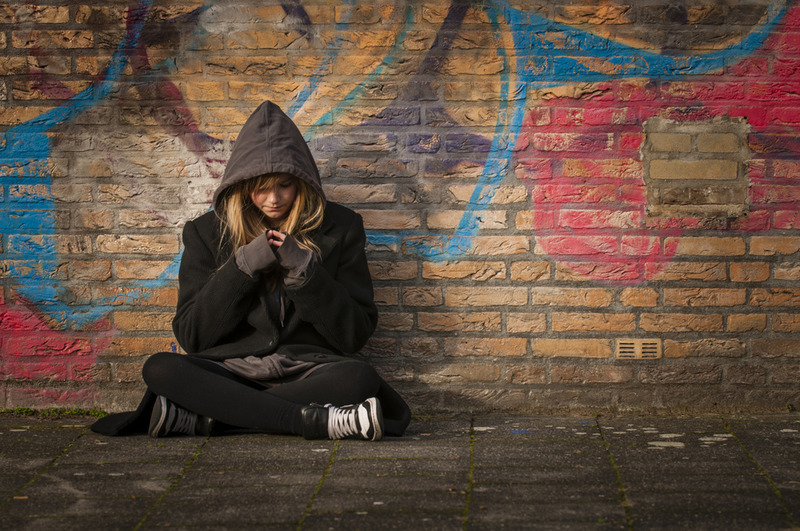 Some teenagers that engage in self-harm will also engage in illicit drug use and abuse. This can then lead to a dependency on those substances to achieve the escape they crave. However, teens who self harm while under the influence of alcohol may do so in excess resulting in serious wounds. As a parent, there are warning signs to look for including noticeable unexplained wounds. There’s also the fact that your teen may be wearing long-sleeved shirts or pants during times of the year when it wouldn’t be normal. They also may be isolating themselves in their room or bathroom or avoiding social interaction. You may note impulsivity in your teen or they could be dealing with feelings of hopelessness or worthlessness. If you believe that your teen is dealing with co-occurring disorders and you believe that therapy may help you can depend on Insight Treatment. We have individual and group therapy sessions available that can address and work to correct your teen’s issues. If you are interested in learning more about our programs and admissions process you can contact us by calling (888) 295-9995. Your teen doesn’t need to go through their problems alone, reach out for help today.